This description of Melitta Ferkovics's work was prepared when Melitta Ferkovics was elected to the Ashoka Fellowship in 1997. Melitta began the Last Straw Foundation to address the needs of the poorest in Hungary's poorest, post-industrial areas. The foundation begins with provisions of food, medicine, social aid, employment possibilities, and financial services to families. After these basic needs for are met, Melitta introduces special forms of mini-farming in agriculture and animal breeding to ensure long-term sustainability. Melitta Ferkovics's vision is to create self-sustaining communities in Hungary's poorest regions. For years, she has supported families that are unable to receive social aid from the state and that are so poor that they cannot provide food, clothing or shelter for themselves or their children. She works with businesses who donate foodstuffs, medical supplies, clothes, etc. for her distribution to the families in need. She also provides many families with the financial aid to pay for housing loans, electricity bills, and more. She works with local schools and governments to identify the needy in the region, visits them personally along with several volunteers, and then judges how they can best be helped. In the process, she discovered that many of the children from the poorest families were not able to pay for the school lunch program, and her foundation now provides lunches for 120 children in the local schools. Melitta knows the needs of Hungary's poorest people intimately and has secured their trust--she is therefore uniquely situated to help them develop new life-habits. She has long recognized that the basic services she provides are not sufficient to cultivate long-term self-sufficiency in Hungary's indigent communities. Her vision is therefore to create self-sustaining rural communities through the introduction of agricultural and livestock production. She has begun providing families with the seeds, chicks, and other materials, and teaching them, with a team of volunteers, how to raise and sell what they have produced. In this way, she hopes that her work will provide the necessary foundation for families to raise themselves above the standard of abject poverty in which they live today. The reintroduction of small agricultural techniques to post-industrial, post-collective contexts is a challenge for which Melitta is finding new solutions. There are few precedents for this particular type of work, and Melitta is forging new paths that are quickly gaining recognition in Hungary and beyond. Before 1989, northeastern Hungary was an industrial and agricultural center. One of the area's major employers was the Hungarian Railway. Since 1989, with the economic restructuring of the country, heavy industrial factories and agricultural cooperatives were closed and the railway laid off thousands of workers. The Szabolcs-Szatmar-Bereg County suffers the highest unemployment rate in the country--a staggering 32 percent--with some small villages experiencing 100 percent unemployment. Families are no longer simply poor, they are destitute. There has been a dramatic rise in tuberculosis in the region due to the declining living standards, and starvation and also crime have increased. It is not rare that many families have handicapped or disabled children and adults at home. In one county alone, approximately 1000 people need immediate assistance--that is about 40 people in every village. Many families live without furniture, water, heat, or electricity. Many families are also threatened with eviction for lack of payment on bank loans. All of these problems have been exacerbated by dramatic flooding in the area this year. This kind of poverty is unusual: it is the result of industry's withdrawal. Workers have skills that do not fit their new, post-industrial contexts, and they must start entirely anew. In doing so, they face difficulties not characteristic of the rural poor--they need to be retrained in basic, subsistence agricultural techniques--and therefore pose a uniquely challenging problem for Melitta. What's more, the most deeply troubled region in Hungary extends in fact across national borders to the Ukraine, where similar poverty and destitution are prevalent. Melitta has already begun advising similar projects across the border. Melitta started to help the poor systematically in 1991. When she enters a municipality (on her bike until 1996 when the Hungarian president's wife helped to get a car donated to her foundation), she contacts the local governmental authorities and educational institutions to get the addresses and names of the needy. Then she and her volunteers visit each family personally. The team assesses their immediate and longer-term needs, and then she sets out to local and regional producers of such household goods as flour, sugar, bread, milk, cleaning supplies, and medical services and medicines. She has even raised money to pay for necessary medical treatments and surgeries. In addition, she solicits contributions of clothes and shoes that she then distributes. She says that if a family is given a month's supply of flour, for example, the money saved can be spent on electricity and water bills. Her foundation has also provided the necessary funds for payment of household bills and bank loans so tenants are not evicted from their homes. She has begun to provide the resources to finance school lunch programs for children from poor families, and she provides money for families to buy the books needed in school. 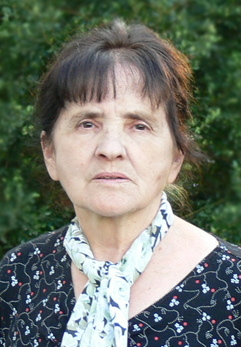 Her work was institutionalized with the creation of her foundation in 1996. She realized that without the infrastructure a foundation can provide, she could not work efficiently to address the multiple needs of the poor. Today she distributes food, clothes, and cleaning supplies to 1510 families in 15 villages and cities (last year 360 families in 7 villages). Of these 1510 families, 310 received support several times and 150 families are visited every month. Seventeen families with over three children receive cash to pay their bills and school fees ranging from 10,000 to 40,000 HUF. Her foundation cares for pensioners as well. This year, 450 children (last year 120) receive school lunches, and about 70 received assistance to buy books. She also found workplaces for nine unemployed. All of these services are of vital importance because they create a context in which the locals can begin to focus their energies on productive activities. Without them--without life's barest essentials--there can be little talk of the path to self-sufficiency. But now that this foundation has been laid, Melitta has begun a novel program to provide venture resources for mini-farming in the region. The only thing people have here is land, she says, and she wants to exploit this resource. Through negotiation with nearby businesses, she secures donations of seeds and small livestock for people to raise and sell, and she and her team of volunteers provide on-site training in basic farming and sales techniques. In this way, she hopes to help the poor escape abject poverty and become self-sustaining. Already, five families have become self-sustaining, and 32 more families have begun successful farming projects with her assistance. The farming program has been running for one year and has been expanded. Eventually, she hopes to have moved her entire network of impoverished clients into self-sufficient mini-farming. Furthermore, for those families that do not even have access to land, she has begun to negotiate with local government officials to secure small land grants, and has enjoyed some success: local governments in two counties have agreed to the cultivation of fields by Melitta's clients. Melitta works out of her home, with a warehouse of raw materials for subsistence agriculture located next door. She recruits volunteers to help with the selection and distribution of all items. She has been approached by local governments from other Hungarian counties as well as social workers from the Ukraine and Romania, all of whom have expressed interest in her mini-farming model. Already, she has trained 30 social workers from the Ukraine in the following areas: (1) the practice of negotiation with the private sector to secure base funding; (2) the practice of negotiation with local governments to recruit their endorsement of mini-farming and small land grants for the indigent; and (3) mini-farming techniques, which include not only the cultivation of goods but also their sale. Melitta and her six brothers and sisters were brought up by her mother who worked as a washer-women to support the family. Her father died during the second World War in a Russian labor camp. Her family was extremely poor, and when her mother died at an early age, she had to raise her siblings. This is how, she explains, she gained an acute sensitivity to the poor. After finishing school, which was very difficult due to her responsibilities at home and her poverty, she went to work for the Hungarian Railway, where she served in different positions for 32 years. She was elected as the union representative for women's affairs for the Trade Union of the Hungarian Railway Company. She was re-elected every four years and held this position for 32 years. She became an advocate for women's rights and had to negotiate and solve a variety of issues among female workers, including wage discrimination. She retired early in 1991 because of a heart attack. In 1994, she took a job in the local grocery store to supplement her small pension (about $90 a month), where she says she confronted daily the poverty of the county in which she lived. She often paid, on her meager pension, for the daily needs of the poor who came to see her in the grocery store. She also began visiting the poor and elderly in the village who were unable to provide for themselves. Unable to sleep at night and determined to assuage the misery surrounding her, she finally decided to establish the Last Straw Foundation, embodying the very last chance many people have for survival. In 1996, she left the grocery store to work full-time for her foundation. Her husband is an invalid at home, and she has two grown sons, one a computer scientist and the other an unemployed economist.